It’s near the end of summer and school time is drawing near. You probably had plans to learn a new skill or read a library’s worth of books (so did I), but alas! All your time was squandered on Netflix, a part-time job, and worst of all—maintaining family ties. And now, you’re going to spend all your time reading textbooks or learning mathematical equations. But it’ll all be okay! 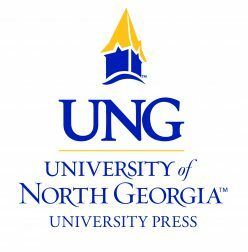 We’ve compiled a list of items to help you survive the next semester and maybe even do a little reading for fun. Okay, I know. Why suggest a short story anthology when you’re already reading for classes? Hear me out. Short stories are great because they’re accessible. Only have 30 minutes to read? Good. 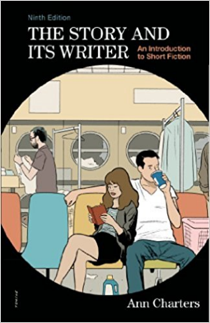 You can read a short story while you eat, giving yourself just enough time to get to class for once. Plus, there are case studies in the back to help you become a better writer if that’s your thing. College can be stressful at times. When it’s too much, try screaming into a pillow to destress. Just warn your roommates beforehand! Having night sweats about the frigid fall and winter weather? It might actually be a side effect of the heat. If that’s the case, be glad for the approaching cold. 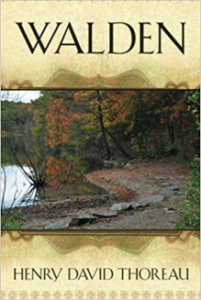 If not, try to hold on to the last of nature’s summer goodness with Walden by Thoreau. Tired of stale cafeteria food or overpriced leftovers from the night before? Start packing your lunch and save some money (and your taste buds). Now, you can spend all that extra cash on something important. A certain short story anthology comes to mind. . .
Is daily life becoming tedious? Do you want some action in your life? Look no further for the solution! 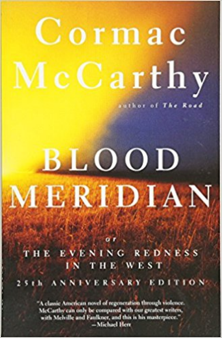 Blood Meridian is a western which will take you back to cowpoke days and save you from the ailments and comforts of modernity. Coloring is a great way to destress. Whether you prefer crayons or pencils, carry this cat coloring book around with you and color the stress away. It’s a lot better than some alternatives. Warning: This is not permission to procrastinate like you did last semester. Whether you need the comfort of tea or the power of coffee, there is no doubt you should stock up on both. A warm beverage will help keep the creeping cold out of your bones, and it might even make you productive. For those caffeine fiends out there, could I recommend Death Wish Coffee? If you’re like me and prefer tea, Yorkshire Gold is my go-to for a pick-me-up.